If you’re anything like me, it’s not even a month into the New Year and you’ve already broken any resolution you may have made. I mean, who really has time to go to the gym anyway when there are hockey design write-ups that need completion? Is it really my fault? Nay, I say that sometimes missing the mark is a part of the human condition. We are flawed creatures, living on a giant rock that is hurtling through space at impressive speeds! We are all in this together and need to not be so hard on ourselves. Now that our little therapy session here as concluded, I must say that if we do try again to make improvements in the future, we need to know exactly at which point we went wrong. 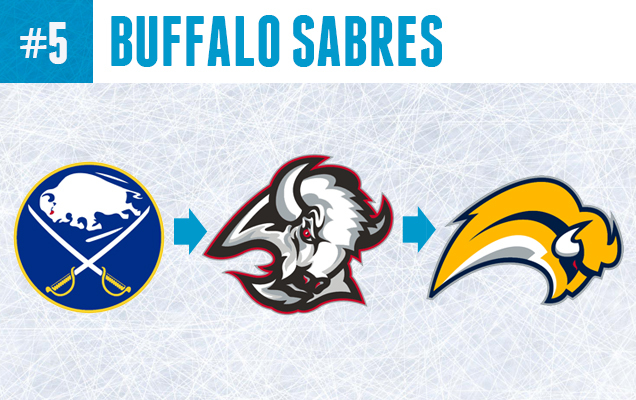 For some of the NHL teams on my ‘Top 5 Worst NHL Team Re-Brands’, they were able to see the error of their ways and correct their descent into a design nightmare. While others…well they still have some work to do. 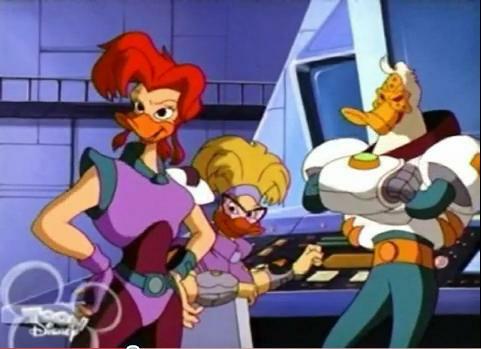 Yeah, It’s totally cheesy, the Mighty Ducks branding is based on a Disney movie (and later, a cartoon series) but personally, I don’t hate it. How? Why? Well, it’s probably because I was only 6 years old in 1993 and have positive associations with this imagery. If anything, proponents of spreading the NHL’s popularity should thank Disney for putting hockey in the spotlight! The teal and eggplant uniforms were a predictable ’90s era color scheme but it worked for the Mighty Ducks because the team itself was a product of this era. (Not like the Islanders re-brand. Seriously, why did everyone like teal so much in the 90s?) When Disney sold the team, the new ownership took a more ‘serious’ approach. Now just called the ‘Ducks’ with a gold and orange color scheme (influenced by their location in Orange County), it’s a pretty ugly combination and their ‘Ducks’ word-mark is somehow long and awkward compared to other logos in the NHL. This last season they used the duck foot ‘D’ as their primary logo and have moved away from the primary word-mark, which was a good move, but overall not enough to redeem a lack luster re-branding that has yet to be fully realized. 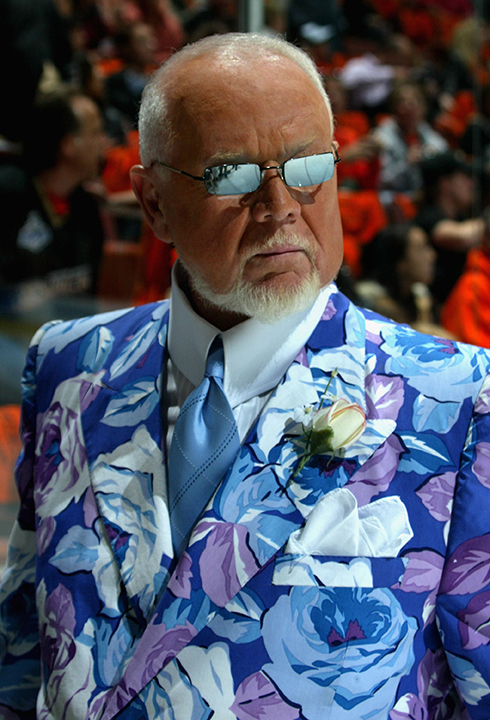 The Canucks rival only Don Cherry in the number of zany uniforms they’ve worn on national broadcast. All jokes aside, this team has had some questionable design choices. 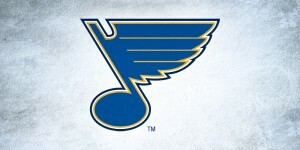 Their original 1970 logo, a blue oval, with a white hockey stick inside, forming a letter ‘C’, may not have been the most interesting in the league, but it worked well with their blue, green and white uniforms, which were a unique color combo in the league at that time. 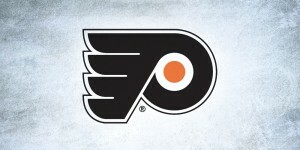 Fashion styles of the 1970s hijacked this teams branding, when the team made a big change in 1978 to a black, orange and gold color scheme and a rather complicated logo, a stylized ice-skate made of diagonal lines and a circle. Their ‘V’ neck uniforms were especially notable…and strange. Though it may be difficult for Americans like myself to appreciate this Canucks era, this general look was kept for nearly 20 years! 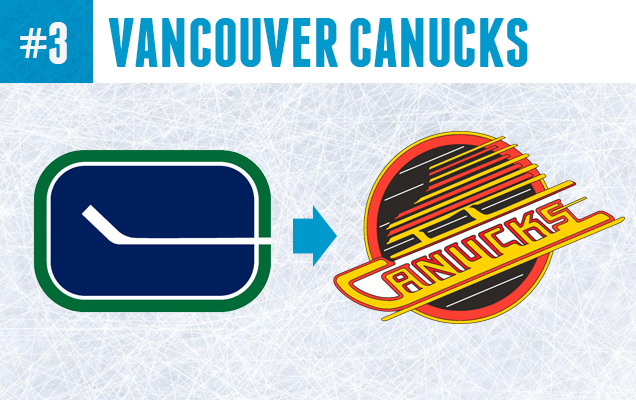 By 1997 the Canucks branding pretty much looked ancient and a change was made to a blue/red color scheme and a whale in a ‘C’ logo. This variation was further refined in 2007 to reflect their original blues and greens and a secondary ‘Johnny Canuck’ logo was added to the mix. In my opinion, the Canucks current branding has the potential to be a classic, and I hope they can stick with it! When the Winnipeg Jets moved from the WHA to the NHL in 1979 they unveiled this fantastic (and very 70s style) logo. In 1990 the Jets brand was tastefully updated and they replaced their primary logo with the slick logo above that would become an instant classic. In their blue, red and white uniforms the Jets were definitely looking classier than some of their ’90s contemporaries. 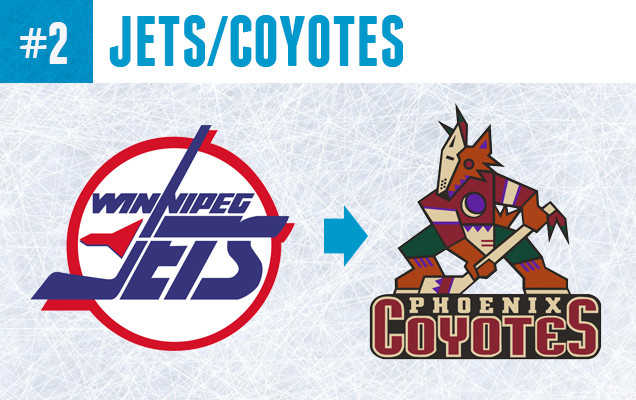 However, the team sadly joined the ranks of zany logos and color combos when they re-located, due to financial trouble, and became the Phoenix Coyotes. Their new branding was meant to reflect the colors and native tribal art of the southwestern US, and as someone who lives in this general part of the US myself, I must say I actually like the ‘Picasso Dog’ logo, however I cannot defend their uniforms, jersey piping, or overall branding. It was basically a crime against sports design and a tragic death to the Jets sharp look. 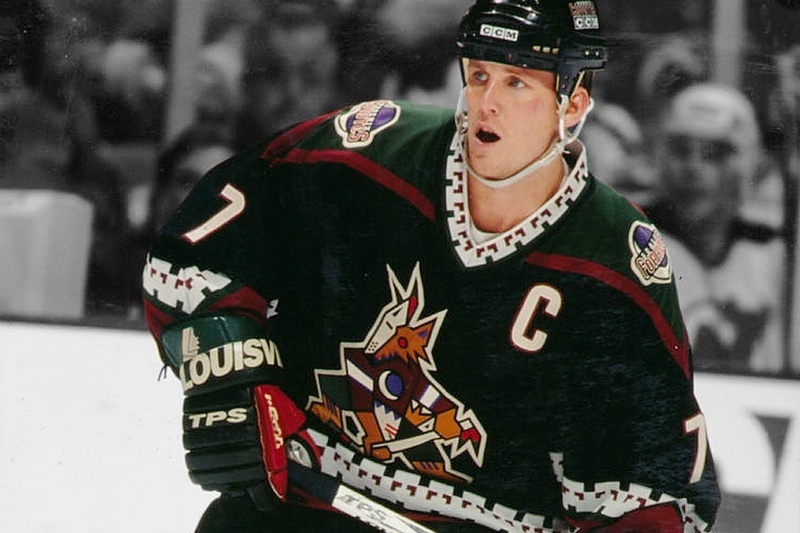 In 2003 the Coyotes simplified their brand, adopting a desert sand and burgundy color pallet and a whole new logo. Whether by coincidence or not, both ticket and jersey sales have increased for the team. 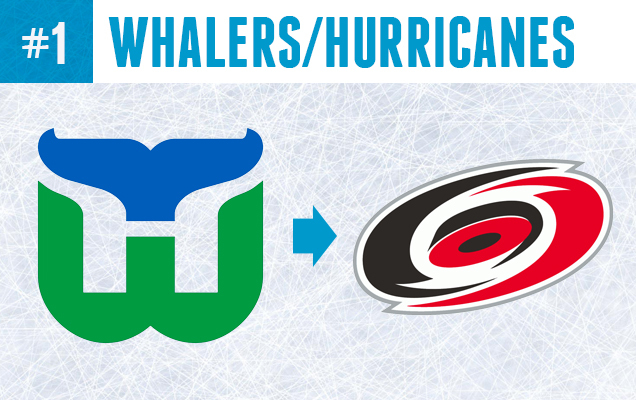 Back in October I listed the Whalers logo as #1 on my ‘Top Dead NHL Logos’ list, and for good reason. The Whalers entered the NHL in 1979 with a strong brand and blue, green and white color scheme. The team’s ‘whale tail’ logo was a force to be reckoned with, displaying a genius use of positive and negative space and continues to be a favorite fashion choice amongst douchebags (as well as fine hockey design enthusiasts) everywhere. Considering it’s popularity 18 years after the brand’s demise, it seems almost insane that it was not kept when the team re-located to the coastal state of North Carolina in 1997 and became the Hurricanes. 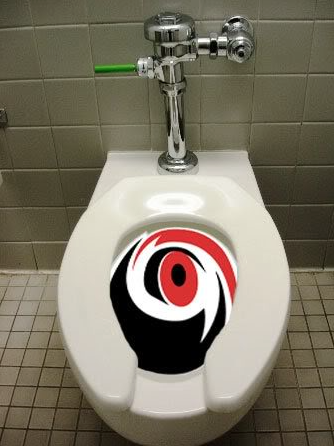 The team’s unique blue and green colors became a well tried black and red, and then adding insult to injury, the Hurricanes could not even come up with a decent logo for their new name, who settled on a logo that literally looks like a flushing toilet and are still using it. I believe that this drastic and mind boggling belly flop of one of the best brands to one of the worst brands in the NHL will be studied by hockey historians and design nerds for generations to come. Agree? Disagree? 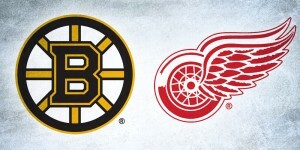 What’s your vote for the worst re-brand in NHL history? Let us know in the comments below! I’d agree that all choices for this list are worthy, though I really wonder why you left the Islanders quite awful (and thankfully short-lived) rebrand in the 90s out of this list? Haha, I was waiting for this comment. It was up to Chad (the author), and I stand by his list. The problem is, the Islanders original logo (even though it’s obviously better than the fisherman logo) wasn’t that great to begin with. You’re right of course. Thanks for catching that. 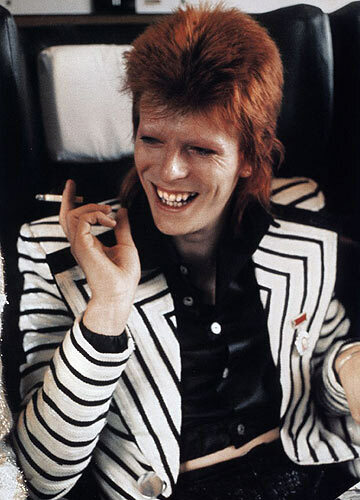 How can you leave the northstars to just the stars off? There’s just too many bad ones to mention. Maybe a Top 10 next time? To author: I think you mean “hurtling” through space. At least, it doesn’t feel like hurdling to me. 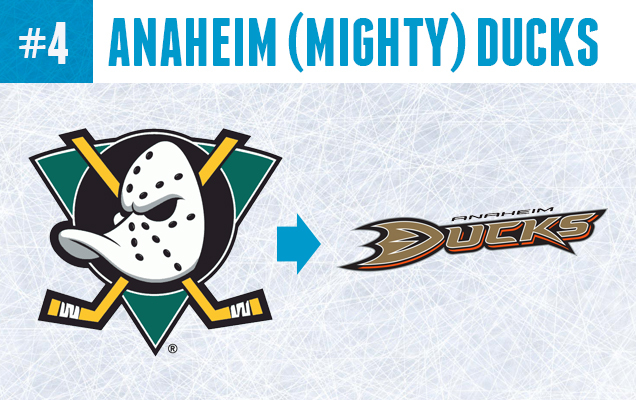 BTW, a Teal happens to be a variety of duck, so that also explains Anaheim’s color choice.